When representatives of Toledo Public Schools met with our WebArt team in the spring of 2007, the school system’s website was not representative of a district that wanted to modernize its approach to online communication. TPS needed a site that was easier to maintain and update, so we provided them with a tool that made that possible. At our suggestion, the district appointed one person to maintain the content and voice of TPS.org. By featuring regularly updated content, the site started to flourish. The district’s school calendars also feature sporting events now, a capability that is continuing to grow. 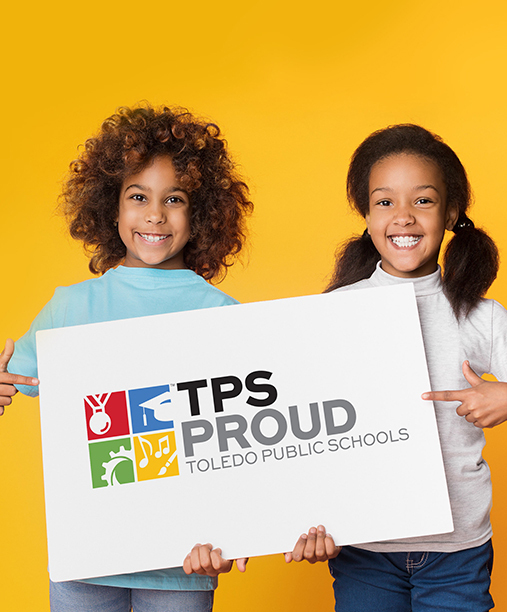 Our design2influence team has produced videos for Toledo Public Schools, including a TPS Proud video featuring alumni at their respective jobsites, tapping on a TPS Proud sign as they enter the workplace. Set to the beat of an inspirational hip-hop instrumental, the piece includes local institutions such as the Mud Hens, the Toledo Zoo and the Toledo Museum of Art. We've also produced the State of the District address for TPS, as well as episodes of Discover TPS, a student-run news program highlighting career programs available within the school district. In working with Toledo Public Schools, d2i and MadAveGroup have demonstrated their expertise in building relationships with school systems and understanding their needs. We look forward to continuing to take TPS further into the 21st century of learning.